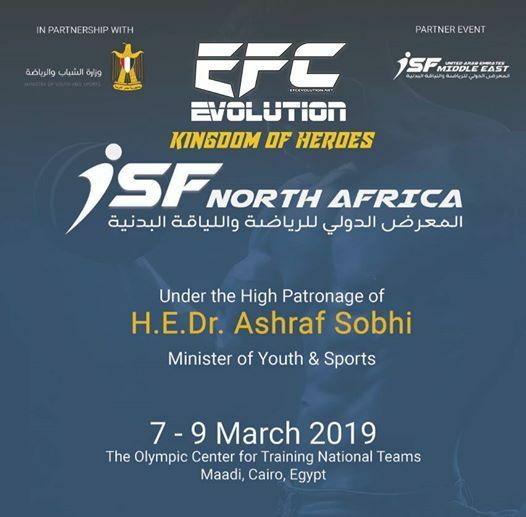 EVOLUTION CHAMPIONSHIP (kingdom of Heroes) first time in Cairo in El Maadi Olympic Center المركز الاوليمبى ِAnd a first time also with the International Sports & Fitness (ISF) North Africa is the largest international trade show dedicated to sports and fitness industries in the region happening on 7 - 9 March 2019 at The Olympic Center For Training National Teams, Maadi, Cairo, Egypt, under the patronage of H.E. 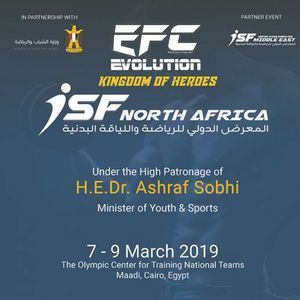 Dr. Ashraf Sobhi, Minister of Youth & Sports. International Sports & Fitness (ISF) North Africa offers an outstanding business platform to reach thousands of buyers and professionals in North Africa and beyond. Expand your reach into North Africa by exhibiting at ISF North Africa today!